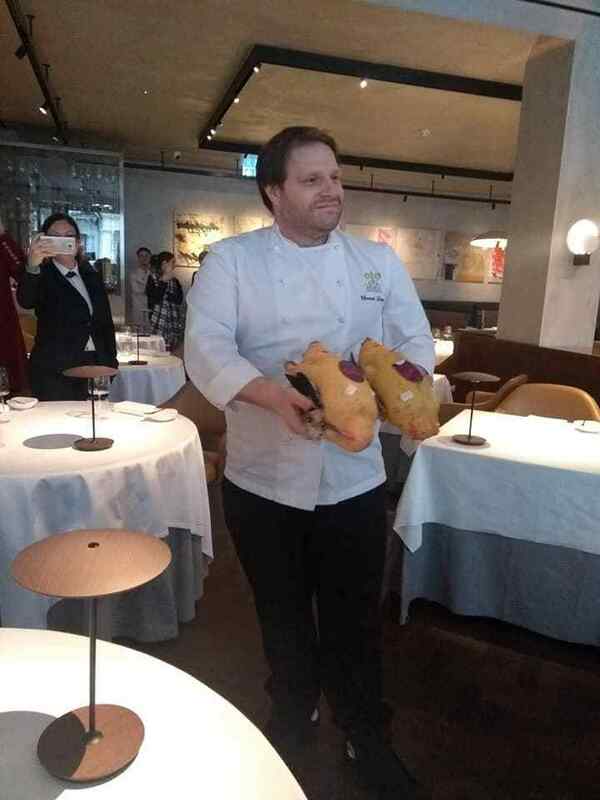 A chef who waved the bodies of two dead ducks at a vegan activist group was simply showing them the ‘high calibre of produce’ he served, the restaurant has said. 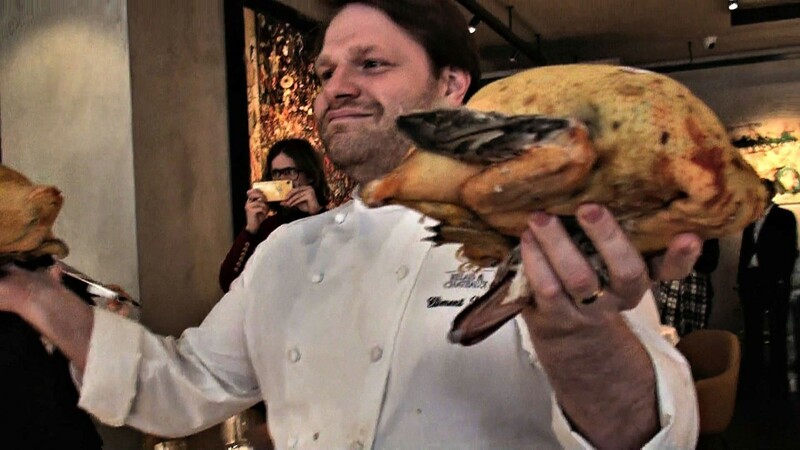 Chef Clément Leroy sparked outrage last Saturday (March 23) when he waved the dead birds in the protesters’ faces after they stormed his restaurant. 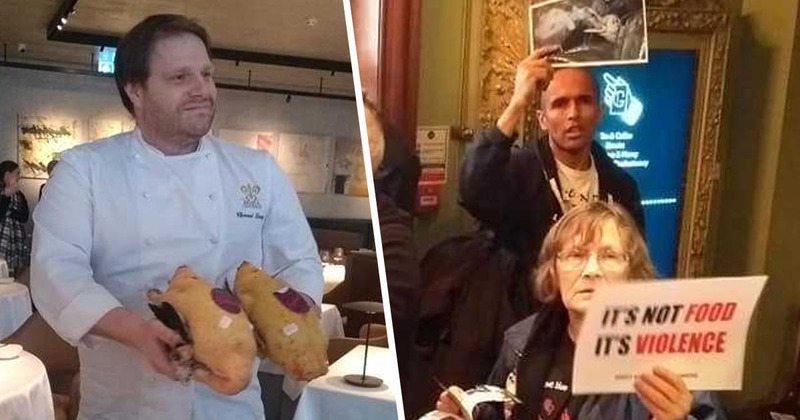 The incident occurred when campaigners from Direct Action Everywhere (DXE) marched into Michelin Star restaurant The Square to object against the force-feeding of birds to produce ‘luxury’ meat – in a practice known as foie gras. 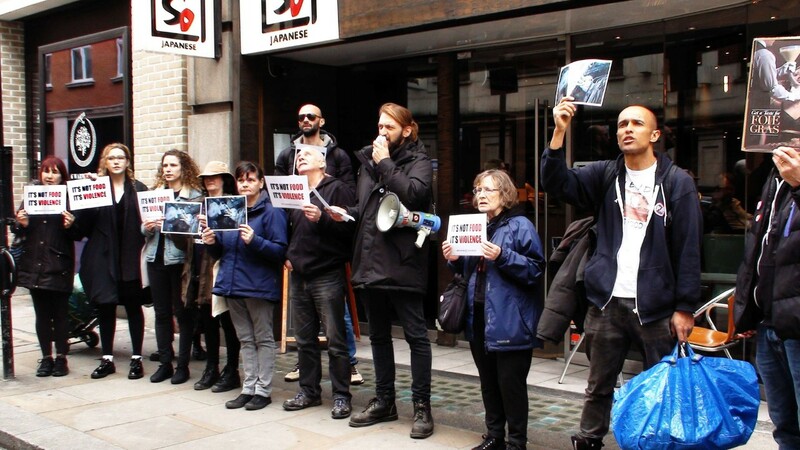 Members of DXE stormed into the restaurant in Mayfair, London, to protest the ‘horrific’ practice, but were soon stopped in their tracks when Leroy waved the dead ducks in their faces. Now though, the restaurant have said their executive chef was simply showing the activists ‘the high calibre of produce that The Square serves’ when he picked up the ducks. Our Foie Gras encased in Beeswax is one of my signature dishes which our regular guests especially enjoy. We are a Michelin Star French restaurant and this delicacy is sought after in fine dining establishments. We welcome any diners wishing to try our specialist cuisine to enjoy lunch or dinner with us at The Square, one of Mayfair’s institutional eateries. Foie gras is an extremely controversial ‘luxury’ food product whereby ducks or geese are force-fed with more food than they would voluntarily eat, making their livers expand and swell to many times their normal size. The Square prides itself on providing ‘modern haute cuisine’ and serves the controversial food as one of their signature dishes. Chef clement Leroy, formally of famed 2* Guy Savoy in Paris, showed the activists the high calibre of produce that The Square serves. As members of the animal liberation group entered the restaurant to protest against the practice, Leroy proudly waved around the two dead ducks, both of which still had their feathers on.